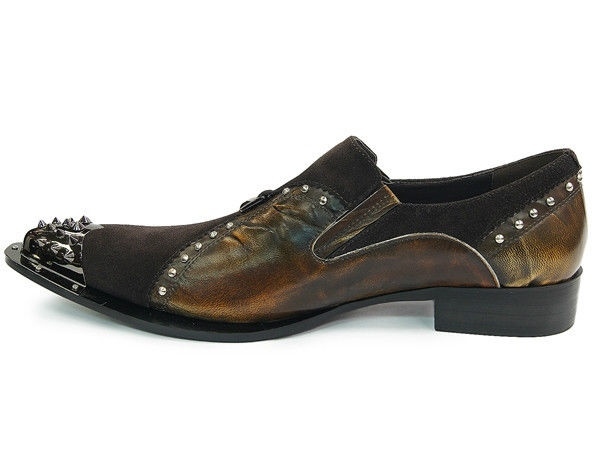 You're guaranteed to turn every head in the room when you walk in wearing these dress shoes from Zota. 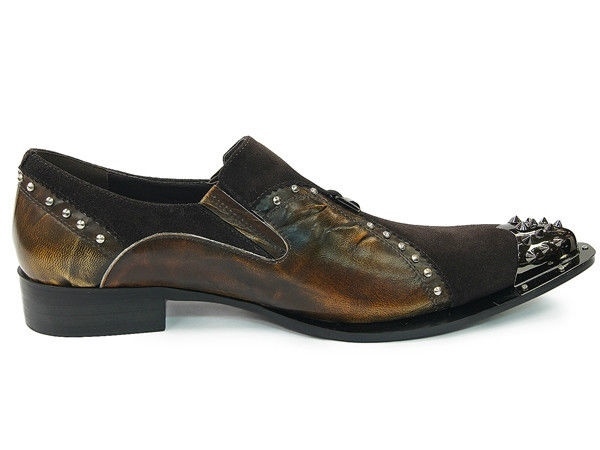 A designer slip on, pointy toe, with dark brown and tan leather upper. 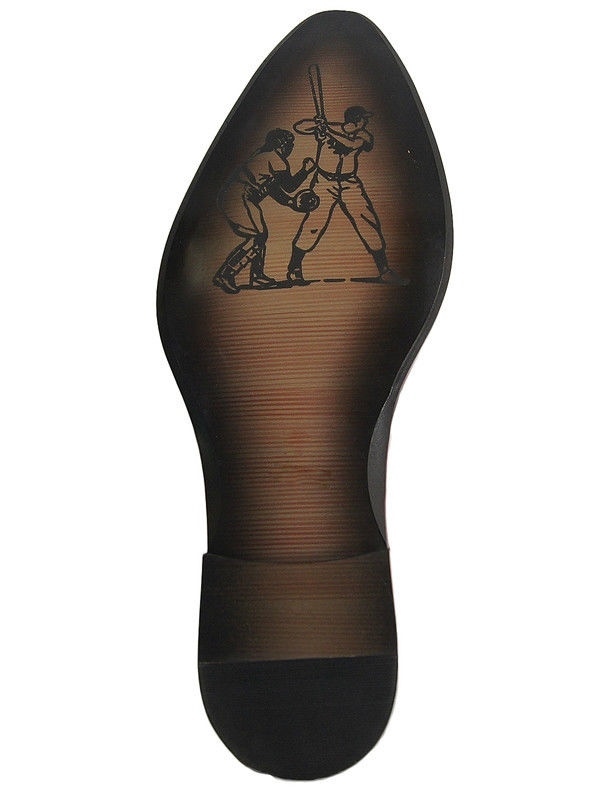 They feature nickel silver metal cap toe and brown leather piecing. 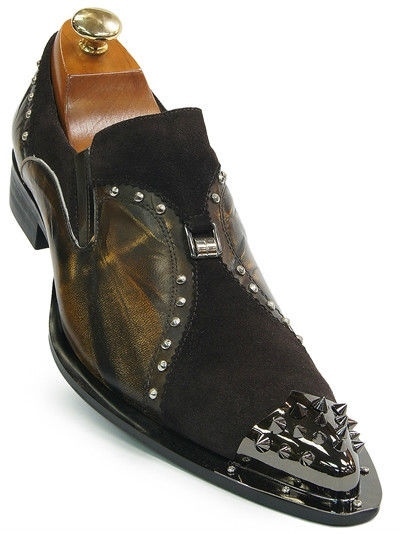 Silver studding twists around the upper. Let these shoes take center stage. A show stopper with a WOW factor!